The Cucalorus Film Foundation has hired Kim Klein as the organization’s new Development Director beginning June 1 of this year. 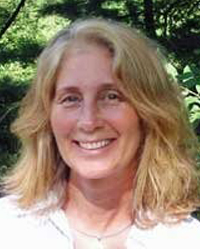 Klein is the founding executive director of The Better Angels Society in Western Massachusetts, where she has helped raise more than $50 million over the past ten years to support the work of legendary documentary filmmaker Ken Burns and to preserve the legacy of his work through education, training, mentoring and support. Klein holds degrees in Fine Art and Communications from The University of South Florida. She brings extensive experience working with a range of educational and cultural organizations to provide leadership, enhance visibility, develop programs and secure solid financial support. “We’re thrilled to welcome Kim to our team at this pivotal moment for Cucalorus. Kim’s dedication to film combined with her leadership in the field make this a very special partnership,” said Dan Brawley, Executive Director of Cucalorus. Kim is thrilled to join us as our new Development Director and comes to us from The Better Angels Society in Western Massachusetts. As the Founding Executive Director, Kim set up this incredible non-profit to support documentary film (and the education surrounding each film), and the filmmakers that do the hard work. With degrees in Fine Art and Communications from The University of South Florida, Kim brings to Cucalorus wide-ranging experience, from the design of materials used to raise those much-needed funds to grant-writing and working with individuals to find their sweet-spot in giving. When not working, which is not often, you can find Kim hiking, on her paddleboard or a yoga mat, and working her creative magic on everything from furniture to jewelry design.